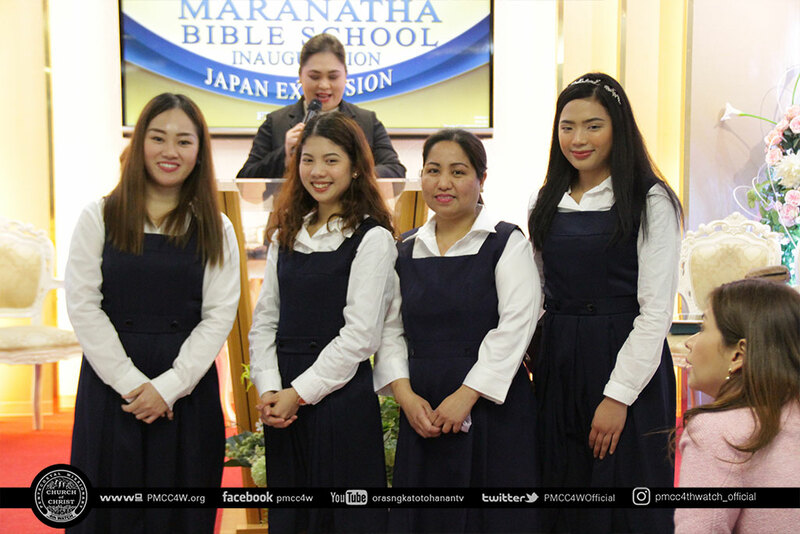 On February 3, 2019, Japan District witnessed the unveiling of another historic mark in the Church – the inauguration of the Maranatha Bible School Japan District Extension. 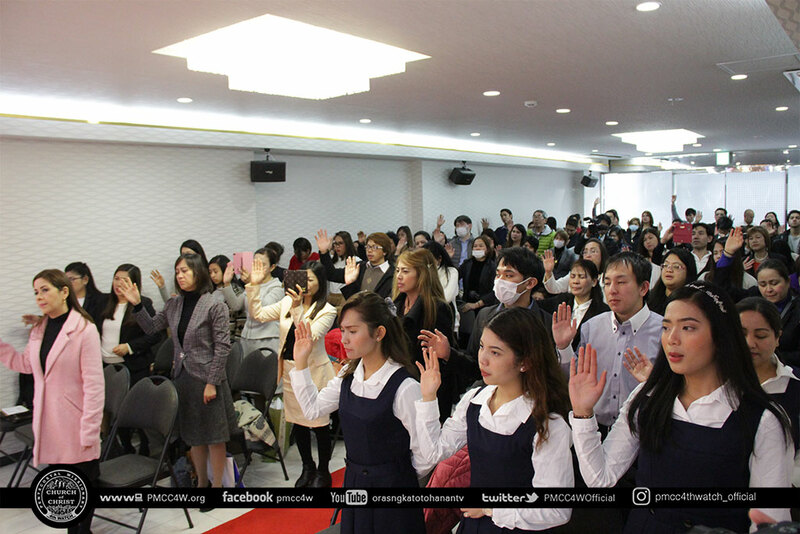 Within the halls of PMCC Tokyo Local Church, brethren from Eastern Area and ministers from all Japan Local Churches assembled to partake in this momentous event. 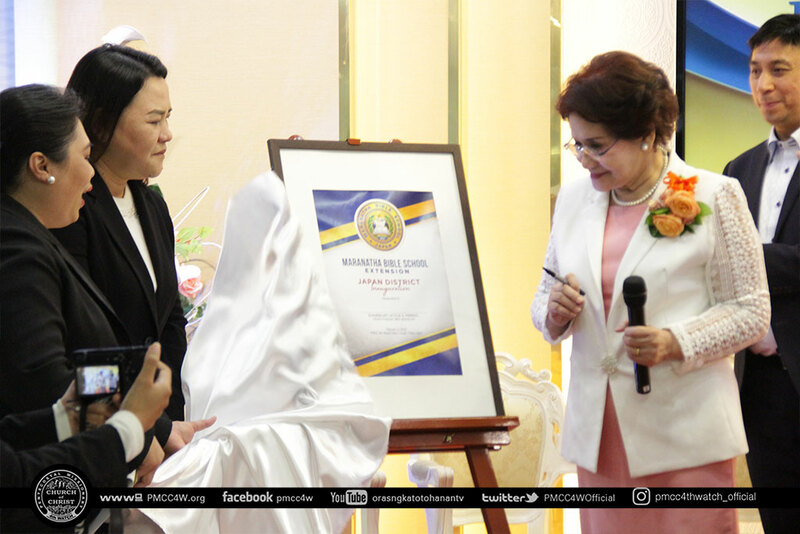 The ceremonies began with the parade of MBS Japan Students, MBS Faculty and program partakers headed by our beloved guests – Teacher Kate F. Saulog and Presbyter Let S. Ferriol. 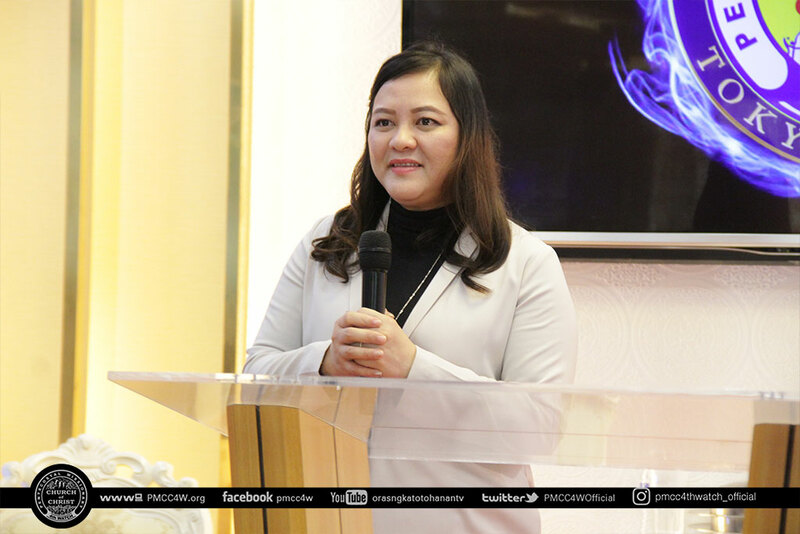 Pastor Ruth Rosas, the Master of Ceremonies, joyously commenced the event, followed by the lively Praise and Worship ministered by Sis. Jazzie Okubo. 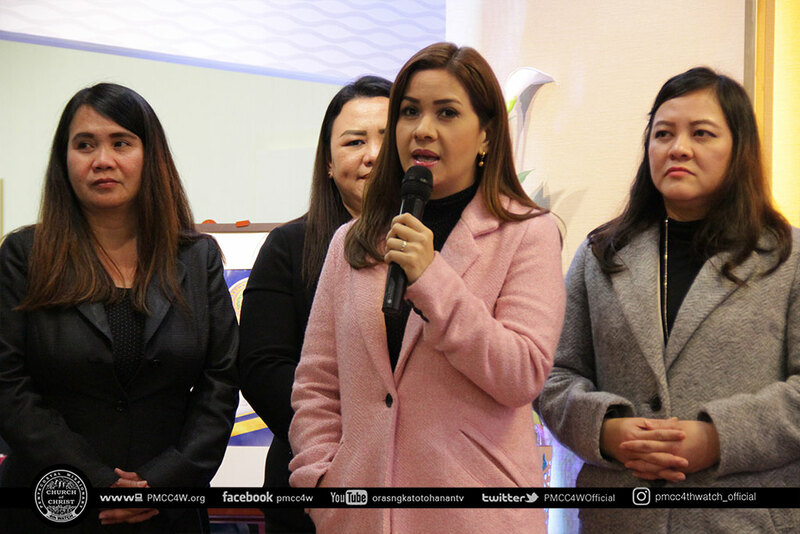 Afterwards, Pastor Nimfa Barrera led the congregation in a heartfelt Opening Prayer. 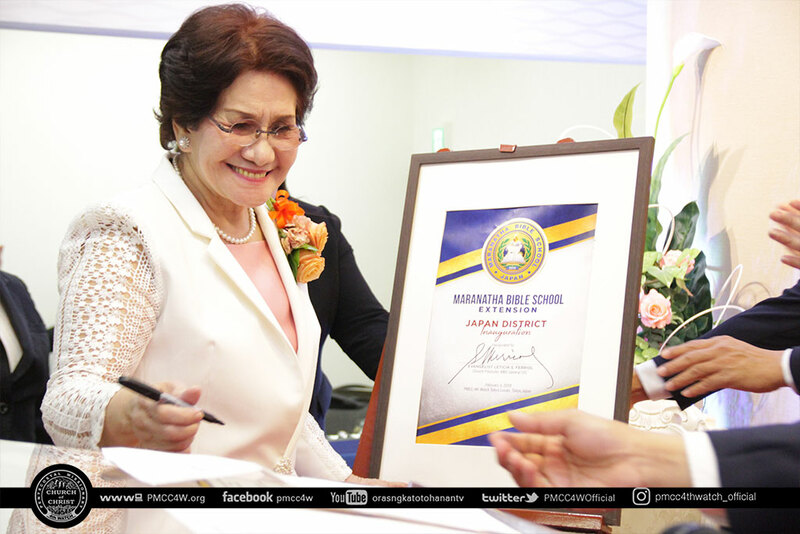 Presbyter and Evangelist Let S. Ferriol, the Maranatha Bible School General Officer-In-Charge (MBS-GOIC), was then introduced for the Unveiling of the MBS Japan District Extension Marker. 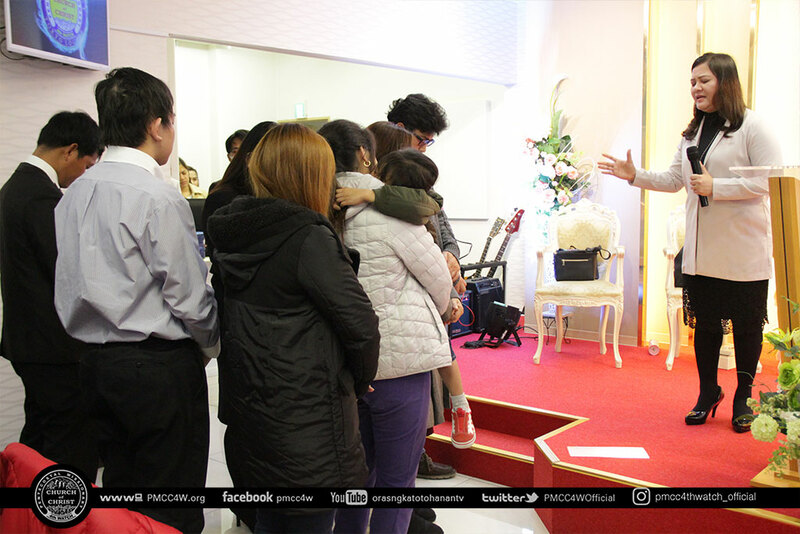 She presented the following MBS Japan District Faculty: Pastor Maya Cruz, Pastor Nimfa Barrera, Pastor Victor Fuerte, Pastor Jojo Cruz, and Pastor Ruth Rosas. 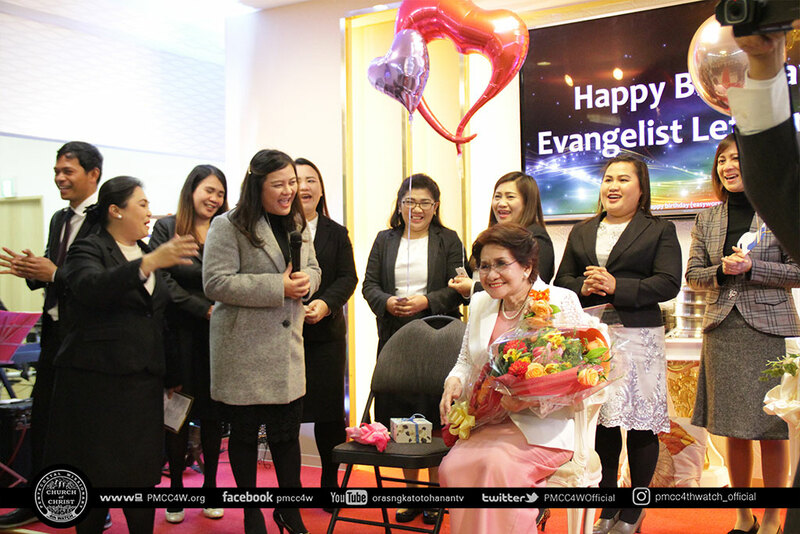 From then on, Japan District Coordinator Pastor Maya Cruz presented the following MBS Japan Extension Bible Students for 2018 to 2019: Sis. Carmela Lumabas (1st year), Sis. Cherry Antonio (1st year), Sis. Carissa Bajade (2nd year), Sis. Jasmine Nakayama (2nd year) and Sis. Jazzie Okubo (4th year). 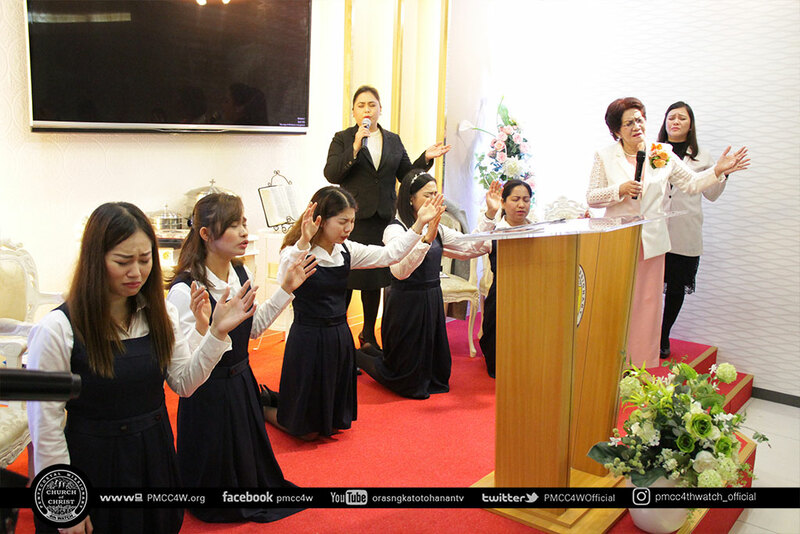 These students were then blessed by Presbyter Let Ferriol with a Prayer of Consecration. 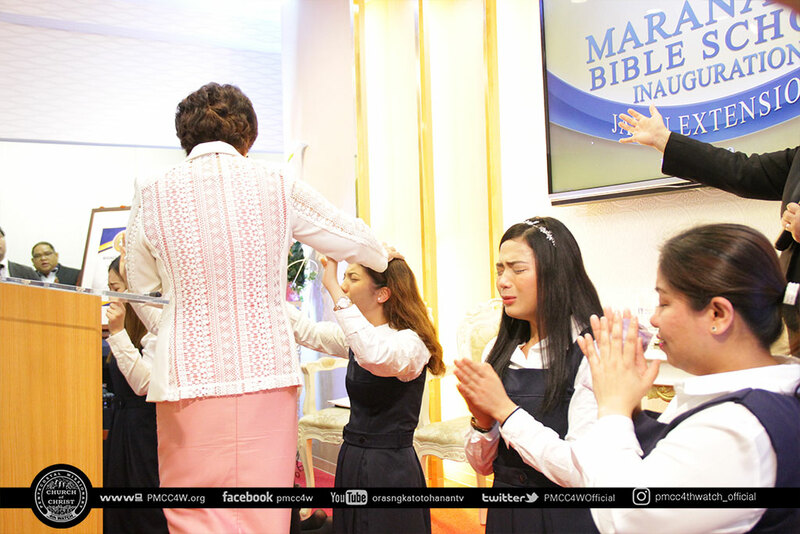 With the brethren’s right hands raised up for them, Evangelist Let prayed and laid hands on each Bible Student. 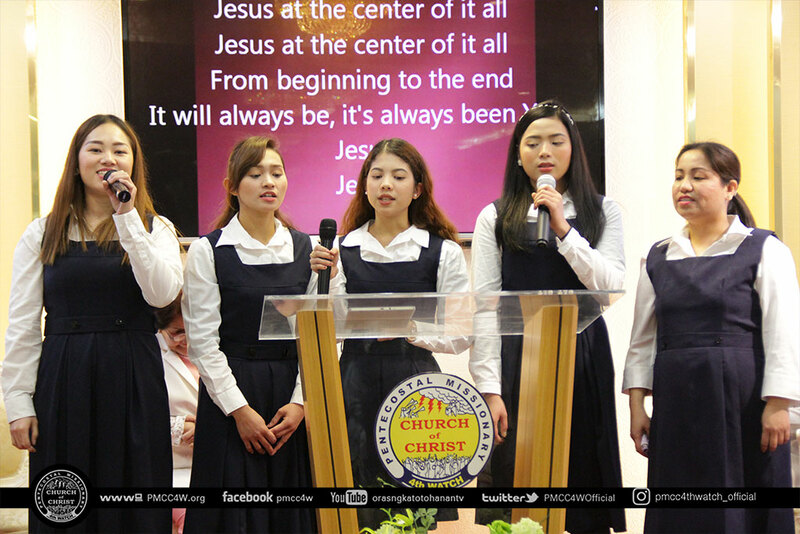 Before the message of the Beloved MBS-GOIC, the Bible Students rendered a song of praise entitled “Jesus be the Center“. 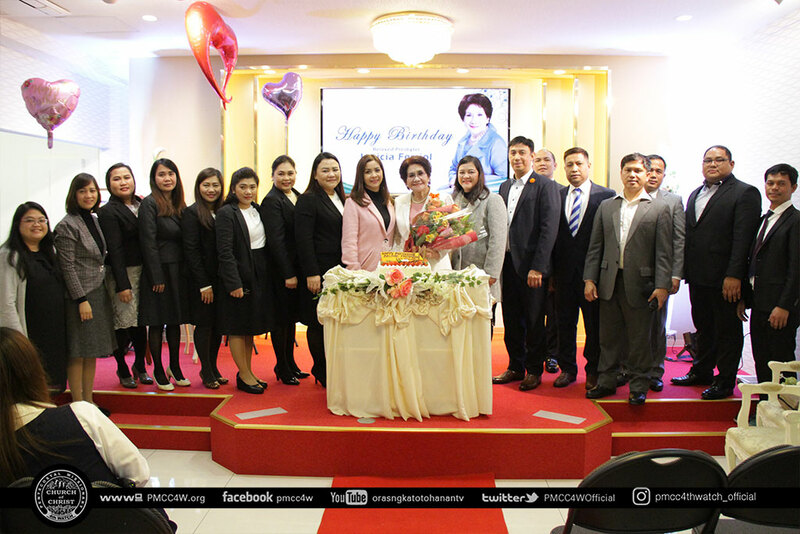 Before the conclusion of the event, a simple Tribute for the MBS- GOIC was presented by the Japan ministers and brethren in honor of her works and celebration of her birthday. I have a vision for the church that I would like to share with you. I have written a brief summery of this. I’m a Christian writer and I have travelled for the work of the Lord as a missionary for over 3 years. I’m from Ireland and I have moved back to the UK about six months ago from France and Spain beforehand for about a year. I would like have some connections in Japan and around the world. The book closest to be published God has called me to do will train people to really know Jesus by helping to cleanse the past life to enjoy the new life in Him. This way really works which I have experienced in my own life. I feel there is a real need for this in the church. As well as that I want to share about the church needing spiritual friendships and to find the ministries each Christian is called to. I would love to talk about these things as I really believe this is how the Lord is leading the church worldwide. In the last weeks there is a website launched that I hope speaks to you. There are articles that you can check out if you like. There are major themes about the heart of God of spiritual friendships and to be active in ministry in the writing of John McCarthy’s writing projects: two books, videos and articles. Here is something brief below about this.